As European parliaments reject the Anti-Counterfeiting trade Agreement on human rights grounds, some are asking why it was signed in the first place. 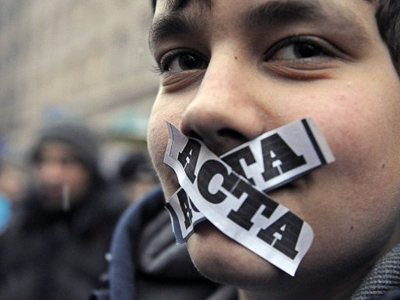 It looks like some of the countries who signed ACTA in Tokyo on January 26 are already having second thoughts. 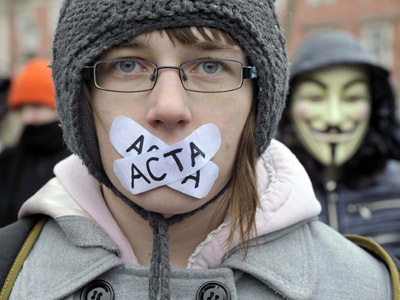 “I don’t know why I signed ACTA”, former Romanian prime minister Emil Boc said on February 6. A few days later Slovenia's foreign minister, who signed the agreement on behalf of her country, apologized for doing so: "Quite simply, I did not clearly connect the agreement I had been instructed to sign with the agreement that, according to my own civic conviction, limits and withholds freedom of engagement on the largest and most significant network in human history, and thus limits particularly the future of our children." And last Saturday, thousands of people took part in coordinated protest across Europe. Over 200 cities were filled with crowds opposing the controversial agreement. 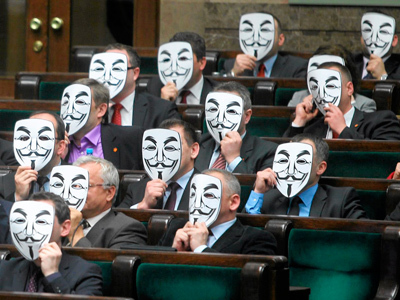 On Wednesday Bulgaria and The Netherlands withdrew Support in response to protests. The question is – why was the agreement signed in the first place, if its chances of being ratified are dropping by the day? The idea to impose a copyright regime was lobbied by the US and Japan. The pretext was the protection of intellectual property, and to control Internet resources that could be used by terrorists or to incite riots and other criminal activity. But in this case, governments will be able to force online service providers to disclose subscribers' information if an account was allegedly used for criminal activity or infringement of trademarks or copyrights. There's an argument to be made that freedom and security are usually in opposition; the most secured people are in prison, where they hardly have any freedom. 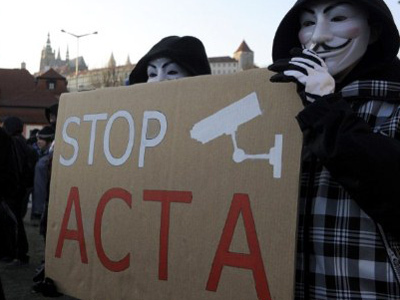 Usually, security comes at the price of freedom – and that’s exactly the cost of ACTA.